Welcome! We hope you like our site. We put this together to share what we do and to have another way to reach us. You may also check us out at Canal Resale on Facebook for information on our next sale as well as send us any messages. We are closed during the winter 2018/2019 and expect to have our first sale of the Spring in April/May. 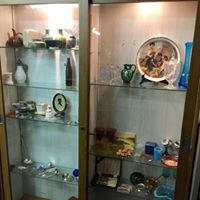 Canal Resale is about 2500 square feet of ever changing merchandise consisting of furniture, collectibles, clothing, tools, antiques, glassware, kitchen goods, knick knacks, and just about everything else in between! We hope to have our "Items For Sale" page updated soon with some items we are offering in between sales. Copyright 2017 Canal Resale. All rights reserved.